Aquatic toxicity is the study of the adverse effects of chemicals and materials to aquatic organisms. Toxic effects include both mortality and sub-lethal effects such as changes in reproduction, growth, or behavior. Analyst feeding individual Ceriodaphnia cultures. Whole Effluent Toxicity (WET) Tests were developed by the US Environmental Protection Agency (USEPA) as a means to implement the Clean Water Act's prohibition of the discharge of toxic pollutants in toxic amounts. WET tests assess the collective toxic effect from all pollutants contained in a facility's effluent to aquatic organisms. 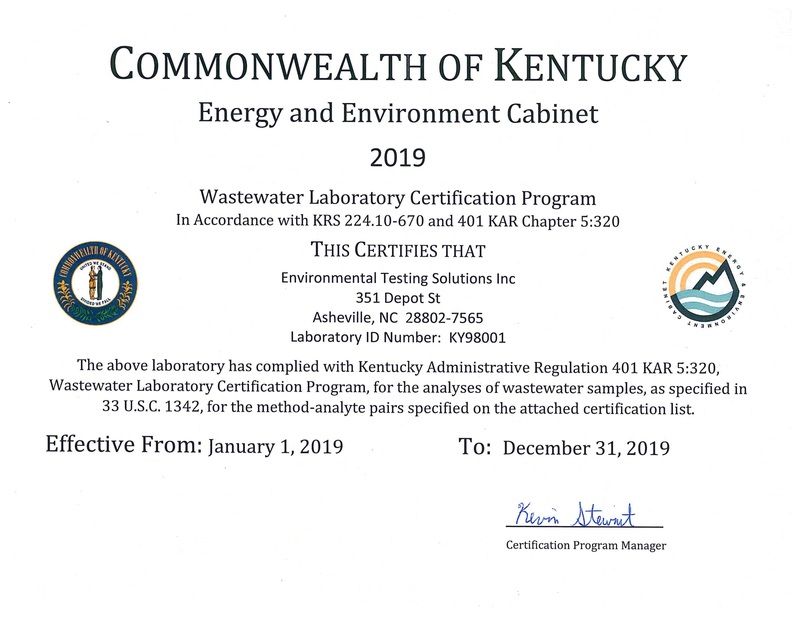 WET tests or biomonitoring is often required in the National Pollutant Discharge Elimination System (NPDES) permits (or the state equivalent) and in biological monitoring programs. 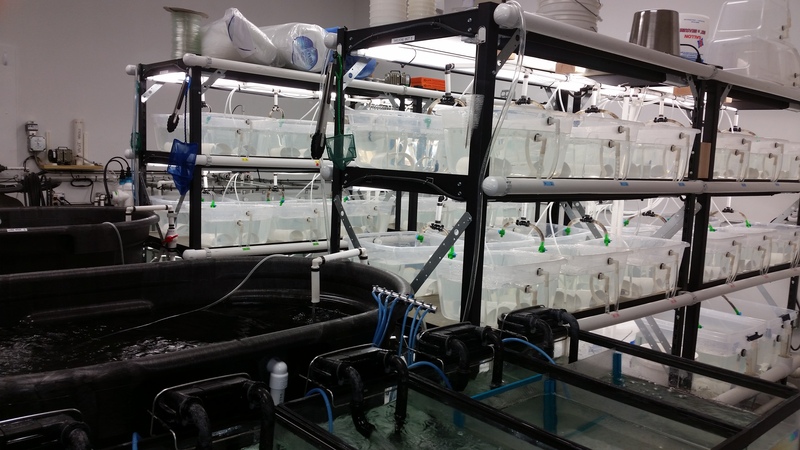 Environmental Testing Solutions, Inc. conducts acute (24 to 96-hours) and chronic (7-day) WET tests using freshwater and marine organisms. 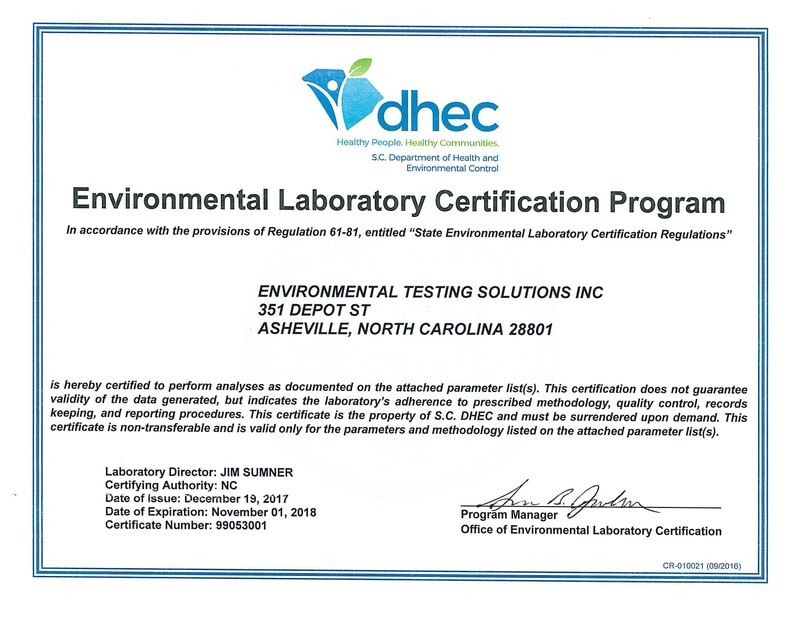 ETS strives to provide quality, legally defensible data for its clients and maintains certification for these tests by the North Carolina Department of Environmental Quality (NC DEQ), South Carolina Department of Health and Environmental Control (SC DHEC) and Kentucky Energy and Environment Cabinet. 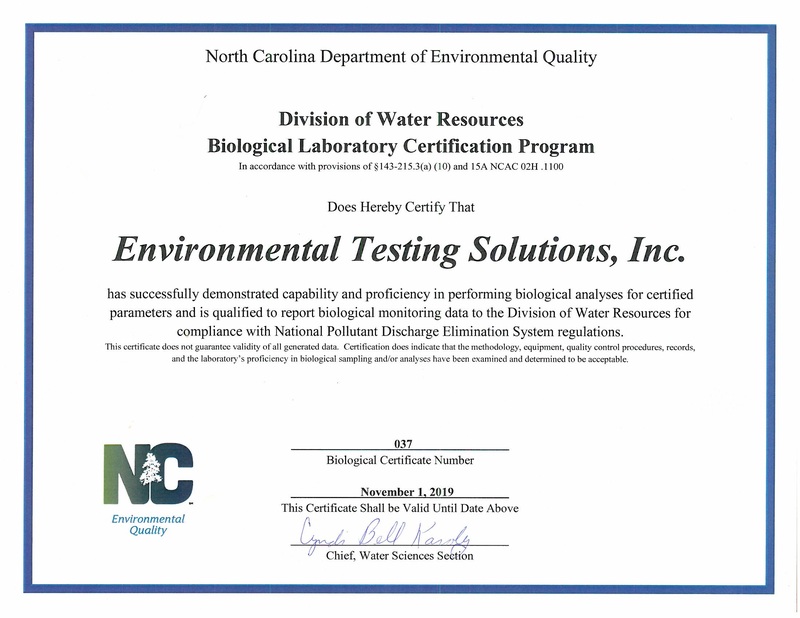 ETS currently performs WET testing for facilities in Alabama, Georgia, Kentucky, Missouri, North Carolina, Tennessee and South Carolina.